I love their Living in series, and this movie was a fab choice. How cute and whimsical are these 2 looks? I just love this fashion-inspired artwork. 1. Don't we all wish this was true? and 2. Check out her fabulous bags! 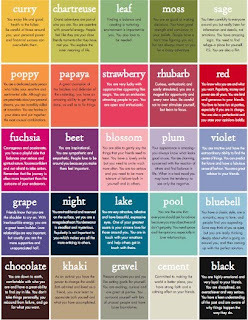 What do your color choices say about you? From The Paper Source. Because who doesn't remember and love these iconic ads? I would love it if bags grew on trees! They could grow new bags each season....aaaah, to dream! Happy Friday! 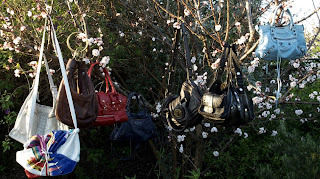 bags growing on trees, now that would be a dream come true! Seriously need a bag tree in my backyard. Right now. I'm still kicking myself for the red Balenciaga that I passed up on a few years back. Having it in my hands then saying the words "I'll think about it"....grrrr little did I know I'd be thinking about it for years. Sigh. Do you think the bags are growing on that tree? If yes, I need the seeds!!!! 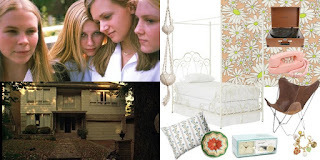 Thanks so much for featuring my work!